How to create your First blog - what platform to choose? Alright. So here's a topic that has been dragged around quite a lot by now. But it never seems to go out of fashion, because every year, more and more people are entering the blogosphere. Recent trends have changed the job-oriented mentalities, and have inspired entrepreneurship. Therefore, it is high time people should start looking into alternative sources of income, or even a productive hobby that can reward them for their time and effort. Hence, in this post, we are going to walk new users through in creating and setting up their first blog, and the platform they should choose. That depends on how you see it actually. The key behind blogging is hard work and dedication. Every job needs those two ingredients, but blogging needs them more than anything. If you are willing to give a couple hours or so to your blog every day, 365 days a year, only then can you hope to earn decent pay-checks. Reward is something that comes later on. So blogging needs determination to wait out that time with all the hard work without hoping for an immediate reward. Tonnes of people fail at blogging simply because they want to 'get rich quick'. Please realize that there is no easy way out. And if you'd rather not invest as much of your time and efforts, then I am afraid blogging isn't for you. If, however, you do have the determination, and want to create your own blog, then here's something you should read before creating a blog. This is a very important question you must settle before you move on, because it will ultimately effect your growth. Although there are various blogging platforms available out there, two of the most used and recommended are Blogger and WordPress. The debate between Blogger and WordPress is a long, and never-ending one. Indeed, different people have different point of views, and different reasons for liking either of the two platforms. The decision, however, ultimately depends upon what sort of a user you are, and what you intend to do with your blog. Blogger is the best option for you if you're a beginner user. It is easy to implement, and the learning curve is a very comfortable one. Blogger is customizable to a great extent, and doesn't need you to have any skill-sets for using it. 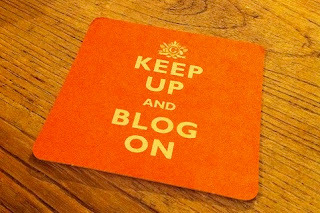 Anyone can set up a Blogger blog. And best of all, there's little to no investment required. For your blog, you will only need to buy a domain, which is worth $10, give or take a few bucks. Another great thing I like about Blogger is, it is pretty easy to tweak. There's a single template code which you can edit to change the outlook of your blog. And the implementation is pretty clean and efficient too. 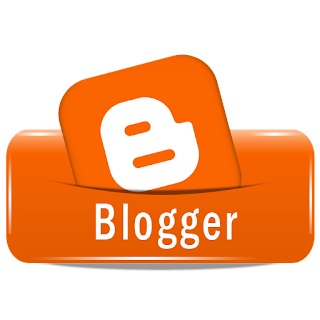 Blogger is optimized for search engines, and contains easy social integration. There is, however, a catch. Blogger is limited in the sense that it isn't for programmers. You can not run PHP or ASP scripts on your blog, nor can you fiddle around with a database. There's also a limit to the number of stand-alone pages, and the number of users you can have. 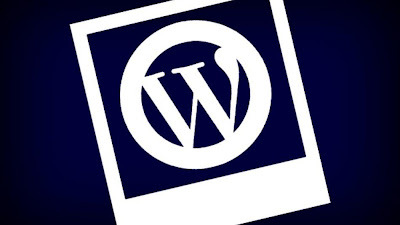 WordPress is an extremely powerful open source software that is customizable to a great degree. And best of all, it supports PHP, so it is the number one choice for programmers and web developers. You could create heavily dynamic content or flexible database applications on your WordPress site. Hence, it is preferred by the corporate and business sector, where functionality is the biggest priority. However, the learning curve is pretty steep. WordPress can be difficult and challenging. Even the slightest of tweaks can take up a lot of time and effort. And since the software is constantly updated, plugins you are using currently might not work well with the next update. Hence, you will end up a lot of time debugging errors and finding solutions. WordPress also requires you to invest a lot of money in it. You have to buy not just a domain, but a hosting as well. And if you want full customization, you will need to buy a framework. So even the start-up investment can reach as high as $150-$300 - let alone on-going investments in hosting renewals, plugin subscriptions, and so on. So in essence, between Blogger and WordPress, Blogger is the better option for beginners. WordPress requires a lot of time, effort and resources. But Blogger is totally free (apart from the domain). And it's not like Blogger blogs can't be professional. This very blog is run on Blogger. And you can see for yourself how much customization we have done. So WordPress is best for corporate and business sector websites, whereas Blogger is best for individuals who have little to no development experience. Hence, we would recommend you choose Blogger, and not WordPress. Creating a blogger blog is really simple. Once in your dashboard, click on the New Blog button on the left side. Now, you will see a pop up where you will be prompted to enter a Title and Address for your blog. Fill the fields, and then pick a general template. You are now done! You can now start writing great content on your blog. If you want to move off the blogspot sub-domain and buy your own, then please refer to the following guides which explain the process thoroughly. Additionally, you might like reading the following posts once you have set up your blog and are ready to create content. I choose a free Blogger.com blog. :) And yes i agree with you that blogger is the better option for beginners. i don't find anything new in article... but anyways better article for newbie..
Wali bro are you saying this just because recently your blog is blocked by google or is this is already in your mind? All right guys, quick announcement. Here at MBT, we love and appreciate your feedback, and want to interact with you. But one thing hinders the process, and that is spam comments. Please refrain from adding links into your comments in the future, and especially avoid using stylish signatures (if there's a link in them). This is a humble request to you all. Please co-operate with us to make this place a more interactive one. I choose for blogger, nothing to lose cause no cost. Really helpful for beginner.. But when one have enough money to invest in hosting sites,then only he should shift to wordpress. Great info..thank u very much..very useful for newbie blogger like me.thank again. Hello, I was wondering if you could tell me when you should go from being a sub-domain to buying your own domain. Should you start off right away with buying it or should you wait until you have some stability in your blog? Thanks for writing on this particular topic. I am planning to start but to whomever I asked he advised me to go for word press as it is easy and google will approve it quickly. Excellent ... I got everything in one post. Good job bro.